LOOKING4ANCESTORS: Winter 2010 GeneaBloggers Games: Let the Games Begin! Winter 2010 GeneaBloggers Games: Let the Games Begin! I am representing the country of Walengada. 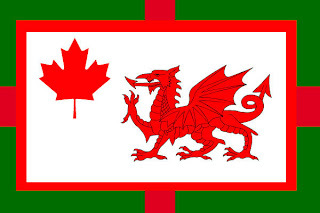 The flag I created at we are multicolored represents my Welsh, English and Canadian Heritage. See Competition Categories – Winter 2010 GeneaBloggers Games for more details about the categories and the GeneaBlogger Games. Medals are awarded on the honour system. I am hoping to participate in all of the categories, but I'm not pressuring myself to go overboard, either. The whole idea is to work on my family history and have fun.